Foraging for wild plants is one of my favorite activities, and one I learned to love in Greece. When village women first brought me with them into the fields, I was dubious about eating the collection of garden weeds we carried home with us. I quickly discovered that wild greens bring wonderful flavors to the table that can’t be purchased from markets or otherwise reproduced. When I returned to Alaska, I quickly educated myself on the wild edibles growing in my back yard. Now an experienced forager, I follow simple rules to protect our health when gathering wild edibles and to be considerate of our friends, neighbors, and fellow foragers. I encourage my readers to do the same. BE SMART: Some plants have inedible or poisonous look-alikes. Be sure you know what you’ve harvested before eating any wild plant. 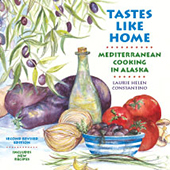 Follow the wise adage: “When in doubt, throw it out!” There are many excellent field guides to edible plants. Consult one or more before going on foraging expeditions and again before you eat. BE LEGAL: Unless you have permission, it’s not okay to forage on private land or in most parks. BE RESPECTFUL: Don’t overharvest either individual plants or plant populations unless you’re gathering pernicious weeds like dandelions. For example, never take more than 3 fiddleheads from a single plant or it may die. BE EFFICIENT: Even though a plant is edible, its flavor may not be worth the effort of harvesting or preparing it, particularly when there are so many other tasty plants around. For example, chickweed is edible but unless you find it growing in large swaths, it may not be worth the effort to clean it. Before gathering a large amount of a plant that’s new to you, cook and taste a small bit to make sure you like the flavor. BE CAREFUL: Don’t gather wild plants in areas sprayed with pesticides, or in areas where you don’t know if spraying has occurred. Within 75 feet of a main road, dirt and pollution from traffic and exhaust fumes may contaminate plants. 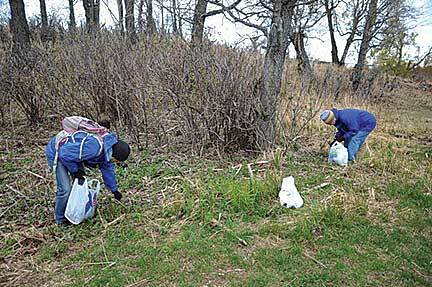 Avoid gathering wild plants in areas where animal waste is likely to be found. 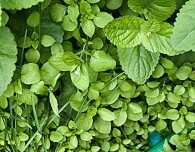 BE CLEAN: Meticulously wash wild greens, being sure to remove all damaged leaves and flower buds. Wash first in cold water with 1/2 cup vinegar mixed in, then wash again in cold, clear water. BE CAUTIOUS: As with all foods, some people are allergic to wild edibles. Eat only a small amount when eating a wild edible (or any other food) for the first time. Try only one new-to-your plant at a time. BE SAFE: Before eating wild edibles, understand the steps necessary to make them edible. For example, morels and fiddleheads can be delicious but MUST be cooked; raw both are toxic and make people who eat them sick. Beach Greens (Honckenya Peploides): Use the leaves raw in salads, or cooked in soups, in mixed cooked greens, or in any dish that calls for cooking greens. Beach greens are also good pickled. Although beach greens taste best before the flowers appear, they can also be eaten after. Beach Greens are also called Seabeach Sandwort, Sea Purslane, and Sea Chickweed. Beach Lovage (Ligusticum scoticum): Use the leaves raw in salads or salsas, or cooked in soups, with rice, or in mixed cooked greens. Beach lovage can have a strong flavor and is best used as a seasoning, like parsley, rather than eaten on its own. Beach lovage tastes best before flowers appear, and is also called Scotch lovage, sea lovage, wild celery, and petrushki. Chickweed (Stellaria sp. ): Use the leaves raw in salads, or cooked in soups, in mixed cooked greens, or in any dish that calls for cooking greens. Chickweed takes a long time to clean well, so even though it’s very tasty, it may not be worth the effort to prepare, especially since you need to gather a large quantity of chickweed to make a meal. Dandelion (Taraxacum): Use the leaves, which are best before the flowers appear, raw in salads, or cooked in soups, in mixed cooked greens, or in any dish that calls for cooking greens. In addition, dandelion roots are used as a coffee substitute, the flowers are used to make wine and tea, and the leaves for tea. Dandelions are at their best in early spring, but in Alaska they reseed themselves more than once (at least in my yard), and the new plants can be harvested throughout the summer, so long as the leaves are small and flower buds are not present. Devil’s Club (Echinopanax horridum): Use the emerging leaf buds, which must be picked when the spines on the undersides of the leaves are still soft and the leaf buds approximately 1-1.5″ long. Do not harvest once the spines start to harden. Use cooked in soups, in mixed cooked greens, or in any dish that calls for cooking greens. They are particularly good sautéed in olive oil with onions and garlic. Fiddlehead Fern (Matteuccia struthiopteris): Do noteat rawUse fiddleheads cooked in soups, in mixed cooked greens, or in any dish that calls for cooking greens. Gather fiddleheads when they first emerge in the spring, and before they start to unwind. Fireweed (Epilobium angustifolium): Cooked fireweed shoots are similar to wild asparagus and can be used in soups, mixed cooked greens, or any dish that calls for cooking greens. 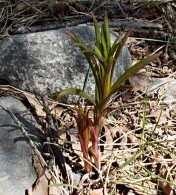 Fireweed shoots must be gathered when they first emerge; once the leaves start spreading out, fireweed shoots are too bitter for most people. To remove some bitterness, boil the shoots briefly, discard the water and finish cooking in fresh water. Goosetongue (Plantago maritime): Use the young leaves raw in salads, or cooked in soups, in mixed cooked greens, or in any dish that calls for cooking greens. 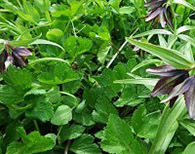 Goosetongue is best in spring and early summer, before the flowers appear. Goosetongue can be confused with poisonous Arrowgrass, so careful identification is essential. Goosetongue is also called Seashore Plantain. Lamb’s Quarters (Chenopodium album): Use the leaves raw in salads, or cooked in soups, in mixed cooked greens, or in any dish that calls for cooking greens. Lamb’s Quarters are susceptible to leaf miners; be careful to harvest plants that are not infested. Although Lamb’s Quarters are best before the flowers appear, if the fresh young tips are continuously harvested, lamb’s quarters can be eaten all summer. Lamb’s Quarters is also called Pigweed, Fat Hen, and Goosefoot. Monkey Flower (Mimulus guttatus): Use the leaves raw in salads, or cooked in soups, mixed cooked greens, or any dish that calls for cooking greens. Monkey flower is best before the flowers appear, although the flowers are also edible and are good in salads or as a garnish. Nettles (Urtica sp. 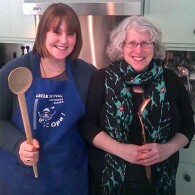 ): Use the leaves cooked in soups, in mixed cooked greens, in any dish that calls for cooked greens, and for tea. Nettles are one of the best wild greens available in Alaska; they grow in big patches and are easy to gather. If the same patch is kept cut back, nettles can be harvested well into summer. Nettles should not be picked after flowering, and older leaves should not be used because they contain crystalline particles called cystoliths that are bad for the kidneys. Always use nettles cooked, and remember to wear gloves when harvesting to avoid being stung. Shepherd’s Purse (Capsella sp. ): Use the young leaves raw in salads, or cooked in soups, in mixed cooked greens or in any dish that calls for cooking greens. Although the leaves may be eaten throughout the summer, the mature leaves have a peppery taste that does not appeal to all palates. Spring Beauty (Claytonia sp. ): Use the leaves raw in salads, or cooked in soups, in mixed cooked greens, or in any dish that calls for cooking greens. There are many species of Claytonia, all of which are edible. The flowers are also edible and are good in salad or as a garnish. Spring Beauty is also called Miner’s Lettuce and Rain Flower.